Unique Identification Authority of India has opened the recruitment for filling the vacancy of 01 posts in the job role of private secretary. The interested candidates may have a look at the official website and apply for the job before 07th May 2019. The application process is completely offline so it is necessary to be cautious with the necessary documents to be attached and also make sure your application reaches within the given date. Since the applications that reach after the last date will not be considered valid. The candidate should be having five years of regular service in the Pay Matrix Level – 6 (Pre-revised Pay Band -2 (Rs. 9,300 to Rs. 34,800 with additional grade pay of Rs. 4,200)) or equivalent. 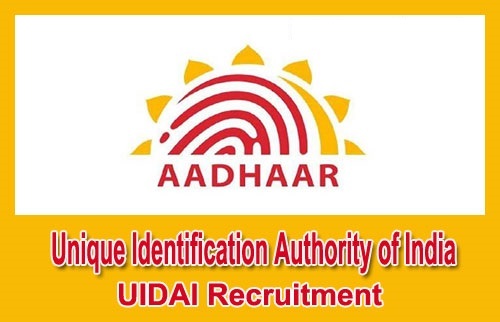 Step 1: The aspirants who are interested to apply for the UIDAI Recruitment 2019 may visit the official website of Unique Identification Authority of India, www.uidai.gov.in. Selection for the post of Unique Identification Authority of India Recruitment 2019 will be based on the performance of the aspirants in the written exam and the personal interview.